May is shaping up to be all about Frances Hodgkins, with a major show at the Auckland Art Gallery and two new books. Finding Frances Hodgkins, published this month by Massey University Press, is by well-known curator Mary Kisler. The book is part of The Frances Hodgkins Project — a landmark endeavour focused on the major touring exhibition Frances Hodgkins: European Journeys, which opens on 4 May 2019. Kisler also became an art detective/sleuth, seeking out the locations of Hodgkins’ key works; piecing together some of the puzzles surrounding where, when and why she painted some of her best-known paintings. Warm, insightful, fresh, expert and richly illustrated with more than 70 artworks, Finding Frances Hodgkins sheds new light on Hodgkins’ life, art and social milieu. ‘Of course no one really “finds” Frances Hodgkins’, Kisler says, ‘because she will never fit comfortably into a single box. But what I hope to have done on this journey is cast some light on how important place became in her search for modernity, and her individuality as an artist, respecting the work of others but always taking her own path.’ The book is on sale from 1 May. ABOUT THE AUTHOR: Mary Kisler is the Senior Curator, Mackelvie Collection, International Art at Auckland Art Gallery Toi o Tāmaki. Mary earned her Master’s degree in Art History and Italian at the University of Auckland in 1994. 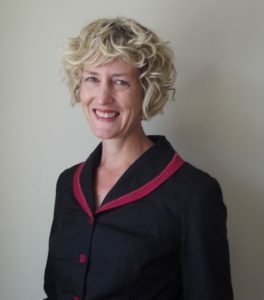 She has been a curator at the Auckland Art Gallery Toi o Tāmaki since 1998, caring for a collection that spans from c1150 to 1950, a large part of which is European art but which also includes a small collection of Indian miniatures and Japanese ukiyo-e prints. In 2010 Godwit published her book Angels & Aristocrats: Early European Art in New Zealand Public Galleries. In 2019 the Auckland Art Gallery will publish her Hodgkins catalogue raisonnée to accompany a major Hodgkins exhibition.